HomeWatercolor PaintingsRough & Quick Watercolor Adventure! 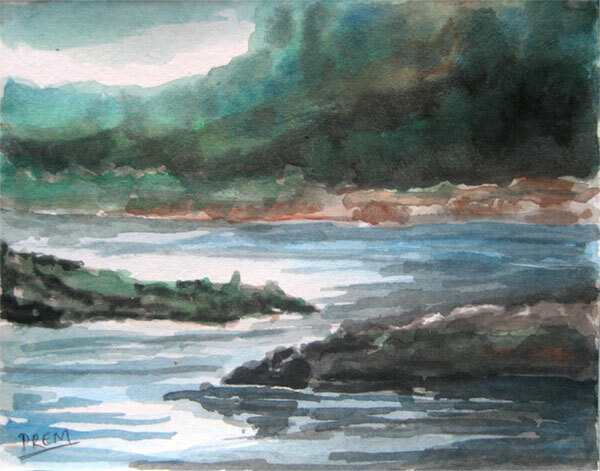 In this post, I am sharing some rough, quick and really simple watercolor paintings based upon the theme of "landscape with water bodies". This is probably the quickest and neatest watercolor work, I've ever done. 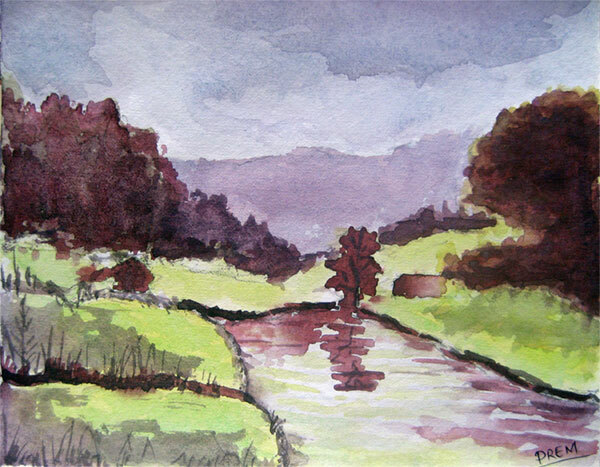 It still took me about 15 minutes to complete this watercolor painting in a small 17 x 14 cm paper. The landscape is really simple, clear and perfect for you to try! The scene is of a lake in autumn. This landscape is a free hand painting. I made it casually to utilize the leftover paint. The scene in this painting is a riverside landscape. This is probably the roughest work I have ever done, with very quick strokes of brush. The landscape is not quite detailed and clear but it can be deduced that it is a hilly landscape with rivulet in the focus. It was done in the aggressive mood but was revised to add some more contrast in the picture. This was also done in an aggressive mood as the previous work! However, it took almost an hour to complete. The paper is larger, i.e., twice the size of the paper used in the above three paintings. 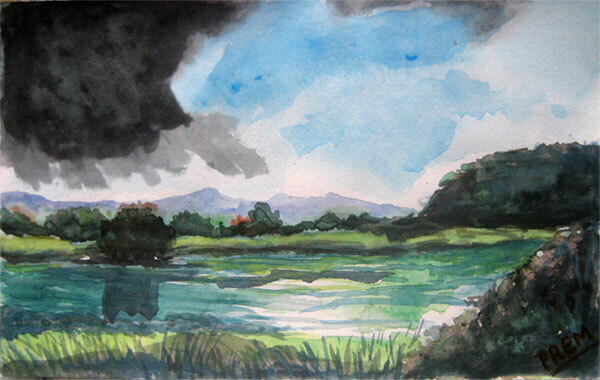 The scene tries to portray the scene of a lakeside landscape in two different types of mood, rain and the sun. How is my aggressive watercolor adventure? Leave your views in the comments below. Thanks Bruce! 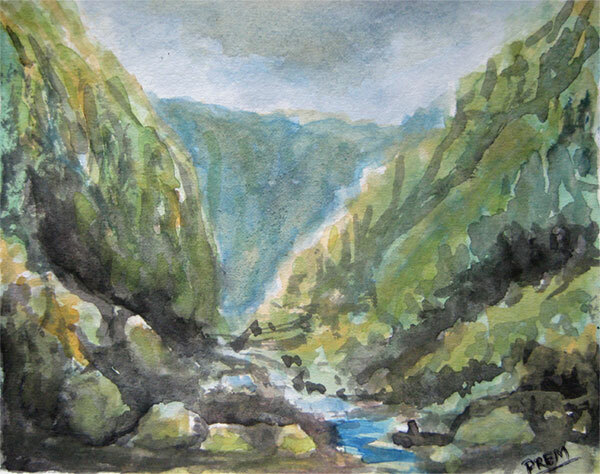 I appreciate your inspiring comments about my watercolor paintings. Glad to learn that you like my watercolor paintings! Thanks for your comments. Turn your merit into skill by practice, storkes are the life toa painting, touch it with intutiontomakeyour soul. Thanks for your great tips! I'll follow them in my upcoming artworks.